Billions of dollars in Western foreign aid to Afghanistan, including from Canada, has been lost to widespread waste, lax oversight and endemic corruption, a U.S. watchdog agency says. The U.S. Special Inspector-General for Afghanistan Reconstruction said in a report to Congress that aid money has gone to build medical clinics without electricity or water, schools without children and buildings that literally melted away in the rain. Also, corrupt local officials who were in charge of paying workers with some of the funds created what the audits called “ghost workers,” civilian bureaucrats, police and soldiers who did not exist, then kept or diverted money recorded as being paid to them. “There is a lot of corruption, [but] most of what we have identified are just head-smacking stupid programs and really poorly managed and no accountability. Nobody is really held accountable for wasting the money,” Special Inspector-General John Sopko said in an interview with The Globe and Mail. Unlike the United States, Canada does not independently audit the money it puts into Western trust funds for international aid. But Mr. Sopko said he is certain the problems he identified for U.S. taxpayers are the same for Canadian taxpayers. Nearly 2,400 U.S. soldiers have been killed fighting the Taliban, and 158 Canadians died before Canada pulled its combat troops out of Afghanistan in July, 2011. The Afghan government is still fighting intense battles across most of the country and millions of Afghans have been displaced. As the country became increasingly dangerous, Western countries pooled their aid dollars into trust funds managed by the World Bank, the United Nations and the North Atlantic Treaty Organization. Afghan security personnel inspect at the site of a suicide attack near the election commission office in Kabul, Afghanistan on Oct. 29, 2018. The recent reports by Mr. Sopko’s office found a troubling lack of financial oversight and far-reaching mismanagement of two Western trust funds – the World Bank’s Afghanistan Reconstruction Trust Fund and the UN-administered Law and Order Trust Fund for Afghanistan, used to train and equip Afghan security forces. The United States is the largest donor to the two funds. Canadian contributions include US$763.7-million to Afghanistan reconstruction from 2002-2018, and US$87.2-million to train Afghan police. Another US$212.9-million went to a NATO fund to train the Afghan army. He said local officials questioned the usefulness of some of the programs that were funded. “Our findings are that basically the World Bank did not know how the money was being spent and …even the Afghans were saying some of the programs were really stupid, but there was no way to stop them,” Mr. Sopko said. Mr. Sopko, a former prosecutor who took on the mafia in Cleveland, found the World Bank could not monitor US$10-billion for reconstruction. The United States also provided more than US$1.3-billion to the UN’s law and order fund to train and equip the Afghan police. Neither the World Bank nor the UN could assure Mr. Sopko’s office that much of this money had not gone to ghost workers. Canada’s department of foreign affairs insisted that the World Bank and UN conduct comprehensive monitoring to “ensure that Canadian funds are not wasted in Afghanistan” and noted Canada has seats on the funding boards. The World Bank restricts donors' access to information on how it monitors and accounts for this funding. Maegan Graveline, a spokesperson for the department, said the UN plans to use an electronic payroll system and biometric identification cards for 97 per cent of police by the end of November. “This has contributed to resolving the problems of 'ghost police’ in the Afghan police force, with associated salary expenditure savings,” Ms. Graveline maintained. Mr. Sopko said that last month on a trip to Afghanistan, a senior U.S. official asked him to conduct yet another audit of ghost police officers. Mr. Sopko said the 97 per cent goal is unrealistic because only 44 per cent of the police officers on payrolls actually exist. Mr. Sopko said there is anecdotal evidence some aid money ended up in the pockets of the Taliban. 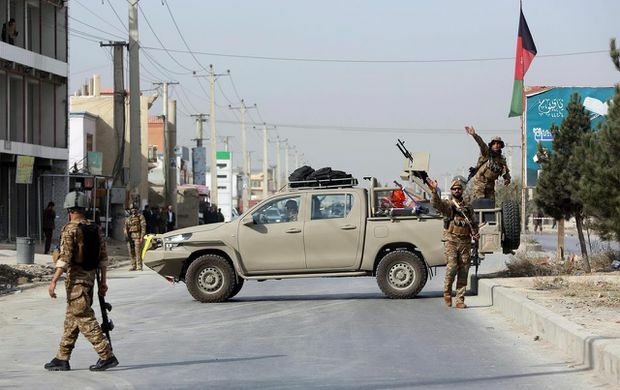 In areas they control, the Taliban are believed to tax workers at foreign-funded projects, and that corrupt warlords have taken bullets, fuel and food that was bought for the Afghan army with Western money and given them to insurgents. The lesson learned from all the billions of dollars spent in Afghanistan is not to spend so much money so fast with so little oversight and accountability, especially in a country where warlords rule by fear, he said. “We went to bed with a lot of warlords, corrupt mafia figures and now we are stuck with them. We are identified with them. We are identified in essence with the bad guys with a lot of Afghans,” he said. Glenn Davidson, Canadian ambassador to Afghanistan from 2012-13, said it is not easy to deliver foreign aid in a war-riven country where it is dangerous or impossible to travel because of the threat of attacks. Still, Mr. Davidson said he was “shocked and disappointed that effective means for monitoring and holding to account those who are corrupting the system haven’t been put in place” by the World Bank and UN. Mr. Davidson and Mr. Mulroney said Canada had much more success in smaller projects over which it had direct control, such as working with the World Health Organization on polio eradication, midwife training and initiatives for newborn children, as well as training for farmers. “’The corruption issues and the fund management issues get the headlines, but there are really good and decent hardworking people in Afghanistan who needed our help and we did help,” Mr. Davidson said.